Bill Clinton runs for the United States House of Representatives. Twenty-eight year old Bill Clinton campaigns against John Paul Hammerschmidt, an incredibly popular Republican incumbent who swept every previous congressional race. Bill loses the election but captured 48.2% of the vote, the closest that any Democrat had come to beating Hammerschmidt in over 20 years. “Bill Clinton’s ready, he’s fed up too. He’s a lot like me, he’s a lot like you. Bill Clinton’s gonna get things done, and we’re gonna send him to Washington.” This was the jingle that ran on TV commercials and radio ads in the fall of 1974 in the race for the Third Congressional District, and highlighted the 28-year-old Bill Clinton vying for his first political seat. Fresh out of Yale Law School, many of Bill’s classmates were heading off to lucrative appointments and corporate law firms, but Bill had a different idea. Long before he attended Yale Law School, he decided he would respond to a higher calling – to serve the people of his home state and do what he could to turn their lives around. Bill packed his bags and headed back to Arkansas and intended to establish a small-town law practice, but then heard of two openings at the University of Arkansas law school in Fayetteville. On his drive home to Hot Springs, Bill stopped at a telephone booth and called then Law school Dean Wylie Davis to inquire about the job, “I don’t have anything set to do,” he told Davis, “but I’m coming home to Arkansas, and you might want me to come teach up there a year because I’ll teach anything, and I don’t mind working, and I don’t believe in tenure [for myself], so you can get rid of me anytime you want.” With that exchange, Davis offered Clinton, 27, (and the youngest teacher at the Law School) a chance to teach Antitrust, Agency and Partnership, Criminal Procedure, and Admiralty. While teaching law, Bill Clinton never lost sight of running for public office. In early 1974, just six months after graduating Law School, he decided to run for Congress against the popular Republican incumbent, John Paul Hammerschmidt. He knew that running for Congress in the Republican stronghold would be an up-hill battle, “The only reason I ran for Congress is because they couldn’t get anybody else to do it, … I [hadn’t planned] to get into politics that early. I was sort of easing into my life, and I loved Fayetteville.” Bill made an agreement with the law school that he would not resign from the faculty, but would only be paid for the time he was actually teaching. When local Democrats and colleagues at the University of Arkansas heard of Bill’s intention to run for Congress they quickly signed up to help in any way possible – his campaign office was overcrowded with an insufficient number of telephones for the overwhelming number of staff and volunteers. Bill brought a new, fresh and young approach to the district during this race. He advocated for a fair tax system, a national health insurance program, public funding of presidential elections, anti-inflation protections, an excess profits tax for the oil industry, and a strengthening of antitrust laws against the oil industry – all messages that showcased Bill’s concern for economic and social justice. On February 25, 1974, Bill Clinton officially announced his candidacy at the Avanelle Motel in Hot Springs with $10,000 his uncle had given him to get started. 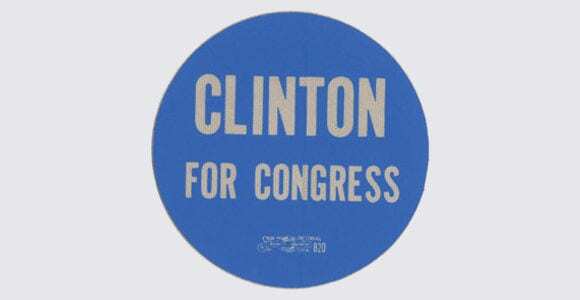 The main headquarters was an old house in Fayetteville on College Avenue, with “CLINTON FOR CONGRESS” signs painted on both sides of the house. By the time filing for candidates came, Bill had three opponents in the Democratic primary: State Sen. Gene Rainwater, David Stewart J.D., and Mayor Jim Scanlon of Greenland. With endorsements from the AFL-CIO and the Arkansas Education Association, Clinton’s support grew. By the Primary election day, Bill garnered the most support with 44 percent of the vote with Sen. Rainwater receiving 26 percent of the vote. With a runoff election in need, on June 11, Clinton won 69 percent of the vote, and was ready to take on John Paul Hammerschmidt. After securing the Democratic nomination, Bill focused on beating Hammerschmidt and promised to run a positive campaign and stick to the issues that mattered – health care, education, and the economy. With only 12 percent name recognition Clinton campaigned tirelessly as he went from town to town in his 1970 American Motors Gremlin and rarely got any sleep. He went to every part of rural Arkansas in the district and learned his constituents’ concerns. He wanted to feel what they were feeling and not simply send out slanted questionnaires like his opponent. Clinton’s promises didn’t keep Hammerschmidt from running a negative campaign though. Hammerschmidt called him, “immature” and said he had a “radical left-wing philosophy.” Hammerschmidt also criticized Clinton for working on George McGovern’s 1972 presidential campaign and claimed that Clinton’s campaign was financed by, “labor money”. In September of 1974, Bill was lagging in the polls with 59 percent of the support going to Hammerschmidt and only 23 percent to Clinton. A few days later, the unexpected happened – President Gerald Ford pardoned Richard Nixon for any and all crimes he “committed or may have committed” while president. The nation was stunned, and the support for the Republican Party as a whole decreased sharply. As Election Day grew closer, several newspapers including the Arkansas Gazette endorsed Bill Clinton. As the campaign came to a close, money became tight and although money was offered as the race neared to an end, the money had strings attached and Clinton promptly refused. At the end of the campaign a 28-year-old Bill Clinton was $45,000 in debt but his conscience was in the clear. Bill took 48.2 percent of the vote and won thirteen of the twenty-one counties in the Third Congressional District. Although a loss, the National Committee for an Effective Congress called Clinton’s campaign, “the most impressive grass roots effort in the country.” His unexpected turnout paved his way into Arkansas politics, and just two years later he would run for and win the office of state attorney general. Bill still calls his congressional race, “the best campaign I ever ran,… just a lost cause that almost won.” This congressional race focused his energies into important social and political issues which he would vigorously support throughout his career.  Visitors can come to the Clinton House Museum and view rare political memorabilia from Bill Clinton’s earliest campaign including his campaign commercials for Congress. The house also includes photos and memorabilia from Bill and Hillary’s time in Fayetteville, and a gift shop.